Century Cycles Blog: Define everything. Ride a bike. Some of you may remember our recurring advertisments from a couple of years ago, where we helped drive home the point of "Define your life. Ride a bike." by illustrating definitions of sometimes-obscure bicycle-related terms. You can see some of those old definitions on our Define your life. Ride a bike. web page. 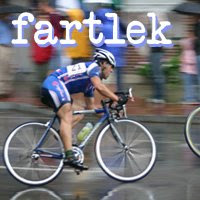 We should do some Fartleking!